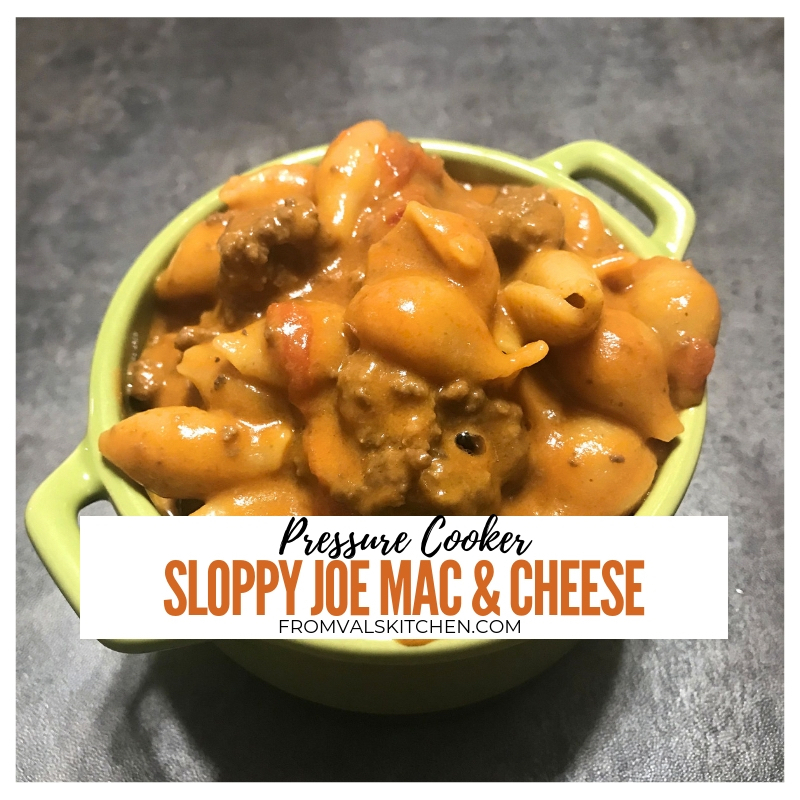 Pressure Cooker Sloppy Joe Mac And Cheese is one-pot comfort food that combines the flavors of creamy macaroni and cheese with sweet and tangy sloppy joes. 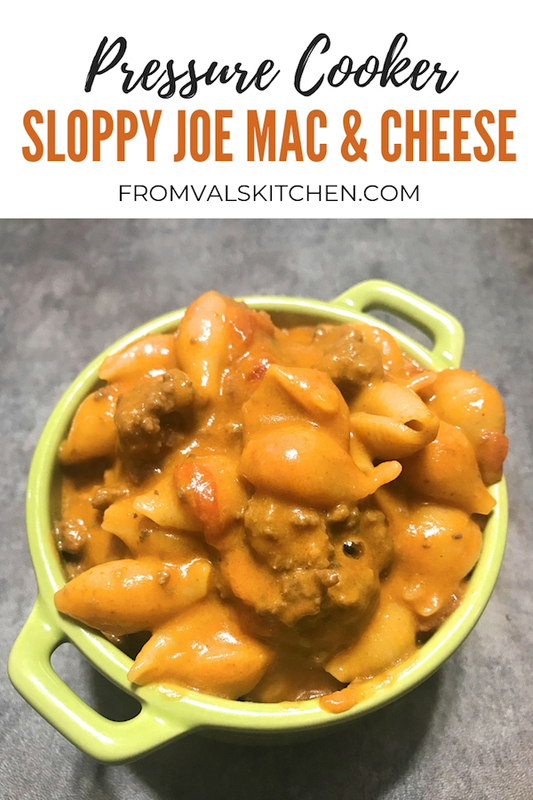 Pressure Cooker Sloppy Joe Mac And Cheese is a one-pot recipe that combines the flavors of creamy macaroni and cheese with sweet and tangy sloppy joe sauce.The whole family will love this simple one-pot comfort food that comes together in under 30 minutes. 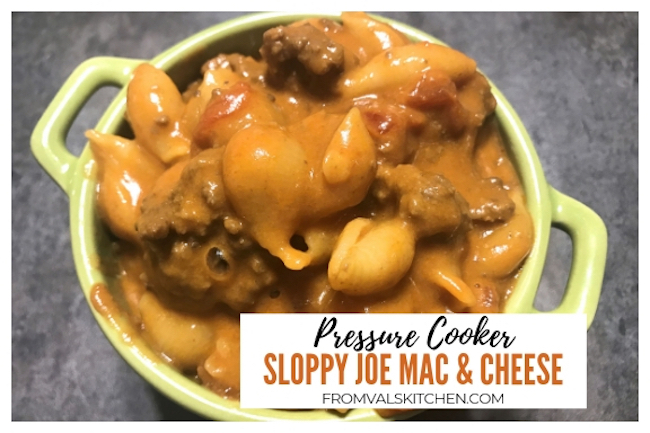 Here’s how I make Pressure Cooker Sloppy Joe Mac And Cheese. Place the ground beef into the pot. Set the pot to saute and brown the ground beef. Place the pasta into the pot. Pour the Manwich over the pasta, followed by the petite diced tomatoes. Pour the water into the pressure cooker. Put the cover onto the pot and close to seal. Set pressure cooker to cook on manual 5 minutes. 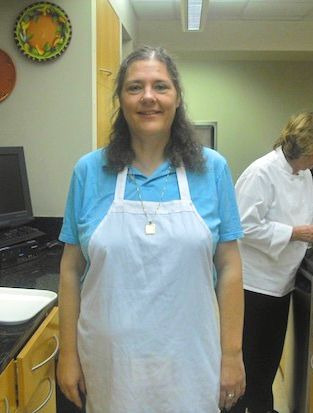 Once pressure cooker is finished cooking, do a quick pressure release. Add in the shredded cheese and stir well until cheese has melted. Sloppy joe lovers–check this one out.